Saint Francis Healthcare System’s electronic medical records system is keeping patients safe by helping physicians prevent medication errors. The Epic system allows providers from all parts of the Saint Francis system, including the Medical Center in Cape Girardeau and the clinics throughout the region, to access information from the same computer database. That database functions as part of a thorough “checks and balances” system when physicians prescribe medications. Epic ensures that a patient does not accidentally receive more than one prescription for the same type of drug. When multiple physicians prescribe similar classes of medications, the system alerts them to that fact so they can make a change if needed. It also alerts when a prescribed medication may interact poorly with another drug the patient is taking. “The system has best practice advisories in its programming that remind the physician of specific drug interactions” says Shepard. For pediatric patients, many dosages are calculated according to their age and weight. 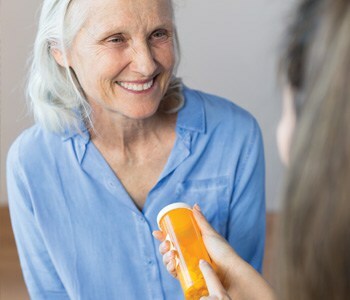 Every time a physician enters a prescription, the system scans the patient’s most current information to determine if the dosage is appropriate. Epic also reminds physicians about best practices for certain types of diagnoses. Patients who recently have undergone surgery may need either blood thinners or compression devices to prevent them from developing blood clots. The system will prompt the physician if they have not ordered it yet. To learn more about the Epic system, call 573-331-3996 or talk to your doctor.